In 2020, for the first time in history, old people will outnumber young people across the globe. That’s a challenge for society of a scale that has never been seen before. And as a result, ageing technology research is now in the vanguard of innovative design. 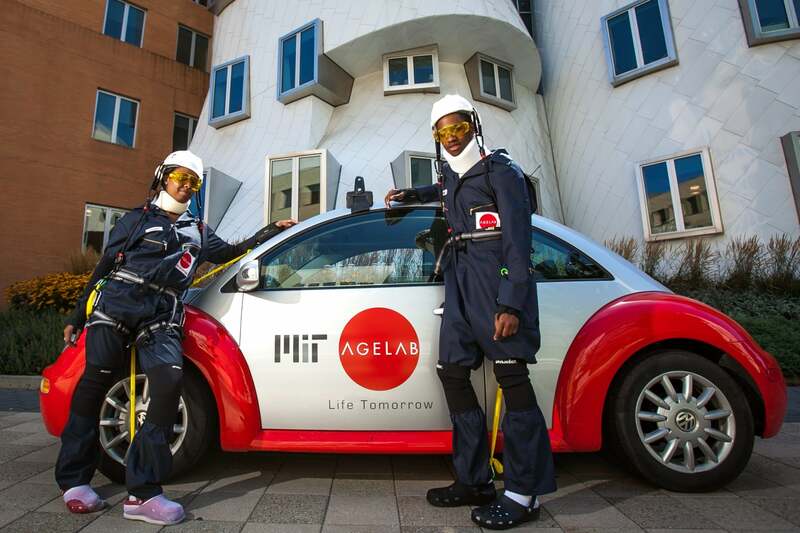 MIT AgeLab is a research programme which believes that by experiencing a specific problem, there is better understanding – and ultimately better design. The AGNES bodysuit allows users, from students to engineers to product designers, to wear the suit and understand what it feels like to age. Equipped with weights, goggles and resistance bands, when wearing the suit you feel the commonly experienced effects of old age; increased fatigue, reduced flexibility in joints and muscles, spinal compression, and difficulty with vision and balance. Designers today are working on a plethora of innovations for older people; from glasses with facial recognition and name prompts, to smart houses for healthy ageing at home – even roboticised caregiving. The AGNES project strives to understand the needs of an ageing population, and with it enable the design of the future to be intuitive, useful and accessible. Tags: Ageing, Communication, Empathy, Employment.